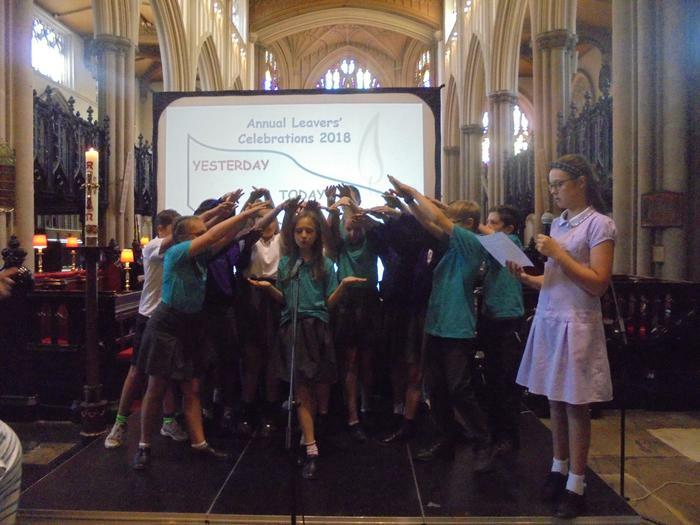 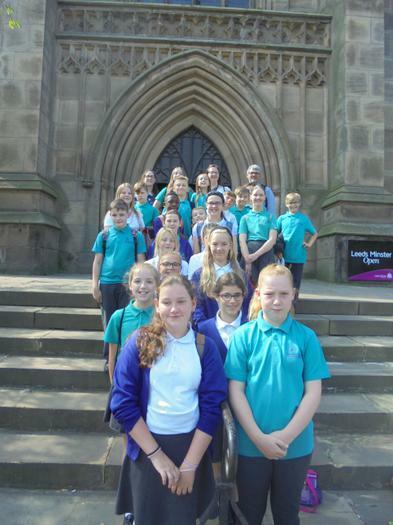 This morning our Year 6 Leavers attended the diocesan annual leavers' celebration at Leeds Minister. 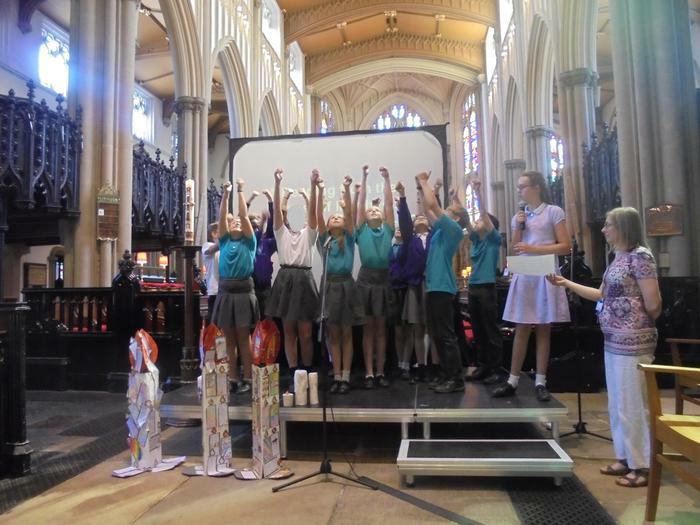 The theme was 'Yesterday, Today, Forever' recalling that God is unchanging and is with us at all times and stages in our lives, whether we recognise it or not. 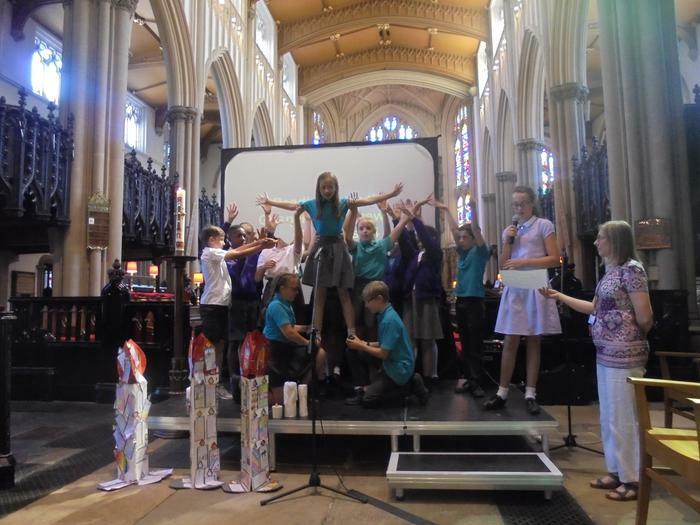 We were especially extremely proud of our pupils as they performed a drama interpretation of a bible reading from Matthew 5:14-16. 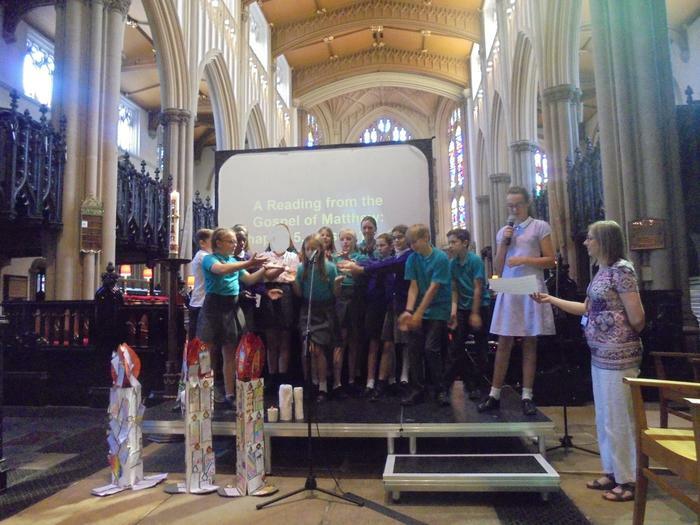 The bible uses the imagery of light to remind people of God's presence, love and care. 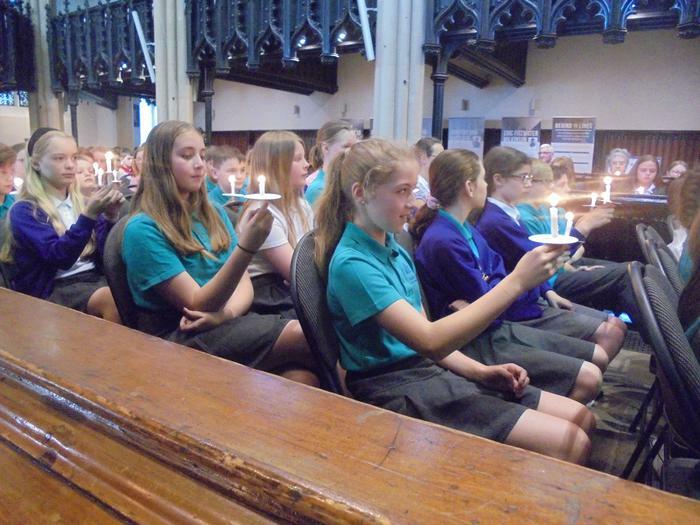 The service ended with the lighting of our Year 6 Barwick candle which was then used to light candles held by pupils.